Vishwanath Mahendra (FIAI) is the Appointed Actuary at Apollo Munich Health Insurance Company and has a decade of experience in the Actuarial domain. During our conversation he shared his insights on the Health Insurance industry and broadly explained the steps involved in Pricing and Reserving. Below is the excerpt of the same. Q. What attracted you towards Actuarial Science? Explain your journey of becoming the Appointed Actuary. I started my career in Finance in 1994. I worked in Finance for 10 years and I was heading a finance team when I came to know about this course through an article in the newspaper. I got curious in this profession because I had love for numbers from the beginning. Also, I had some flair for working with Statistics and Mathematics which attracted me towards this course. Then I explored further and had conversations with few people who were already working in this profession. So, after acquiring adequate knowledge about this course, I came to a conclusion that this job is more lucrative for me. A while later when I started reading books I was really taken away and realized that this is the right way to proceed. Then I passed 3-4 exams and started looking for a job as it is very essential to have a significant experience. Initially, it was very difficult as I was shifting my career after having 10+ years of experience in Finance but I just followed my instincts and I got the job in a company where we were supporting US actuarial processes. There I gained good exposure in terms of technical skills andactuarial processes. 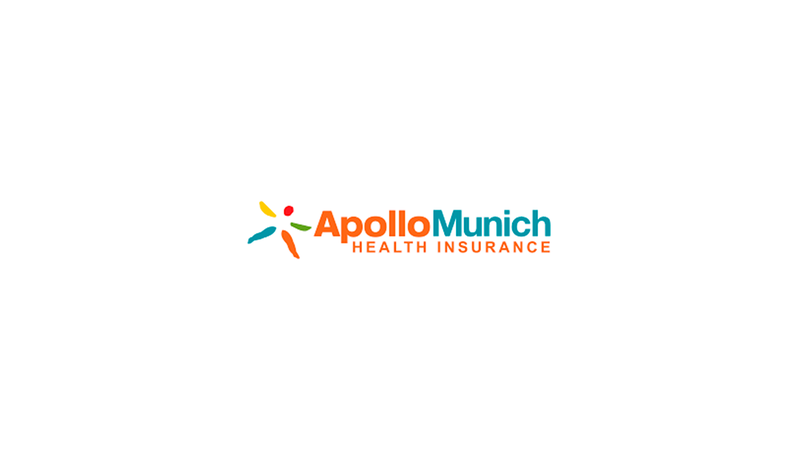 I worked there for 2.5 years and later on I decided to move towards the Indian Insurance market so I joined Apollo Munich Health Insurance Company. I was continuously writing my exams and my game plan was to write one exam and pass that one in every attempt whether it was a CT series exam or an ST series or SA series. Q. How is an Appointed Actuary different from a Chief Actuary? What are the responsibilities of both? As such there is no difference between a Chief Actuary and an Appointed Actuary. Yes, in some companies these can be two separate positions where Chief Actuary will be responsible for internal tasks like monitoring, Capital Modeling, Reserving etc, but Appointed Actuary is a face when it comes to the regulator. He will be the one who will be signing all the documents. For example – if the product has been priced, the pricing Actuary may be reporting to Chief Actuary but the Appointed Actuary is taking all responsibility. I was talking about the countries where Appointed Actuaries are full time employed by some companies and work as Consultant in others. In India, according to the new regulation on the Appointed Actuaries – they have to be an employees. So now, these two positions are already merged as such. Product Pricing –When I say Pricing, I do not mean just the premium payable by the policyholders; it also includes few other things like the benefit structure of the product. This is something which is going to decide the future of the company i.e. whether the company will survive or not in the market. So, the pricing should be sustainable in the long run, it should be adequate and at the same time it should not be excessive also. It should not lead to moral hazard and anti-selection. We also need to decide what should be the underwriting and how claims should be managed. So, an Appointed Actuary needs to know the whole gamut of things not just the pricing. Reserving –Talking about Health Insurance, it is a very short tail line of business as you see the triangles run off in just 2-3 months because generally claims are settled cashless and even if it is not cashless, reimbursement claims are submitted by the policyholders within few months after taking treatment. But certainly it is also an important responsibility of the Actuary as he needs to sign whether the reserves have been adequate and based on that the balance sheet of the company and profitability is determined. If he fails in setting up the adequate reserves, the company might become insolvent. 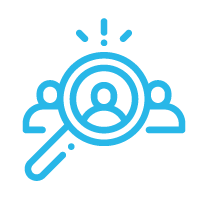 Product Portfolio Monitoring– Now when you have priced a product you need to know the behavior of the product and for that, you need to verify that the assumptions you have made during the pricing are materializing or not. You also need to check things like – Do you have the need for re-pricing? If yes, then at what frequency? Are you getting the claims early? Is the frequency and severity of the claims meeting your assumptions? Do you need to change the benefit structure of the product? So all these kind of monitoring is required to be examined by the Actuary. Regulatory Reporting – You need to submit certain reports to regulator, for example Financial Condition Report is one huge part of it which has chapters which deals with different spheres of Insurance Company. Here, we need to talk a lot about the pricing, reserving and comment on the investment plans, Reinsurance, Future Financial Conditions, Risk Management, etc. There are some reports related to Assets Liability Management, Economic Capital, IBNR Reports and all these take major chunk of an Actuary’s time. Q. (a) What are the basic principles of pricing and reserving in Health Insurance? The basic principles of pricing and reserving remains the same in all the fields of Insurance but how you apply them may be different. Basic principles are like: you need to recover your cost, you should aim certain size, the product should be sustainable in the long run on a standalone basis, etc. Q. What are the steps involved in both? Firstly, you need to understand what are the benefits from that product and what is the target segment of that product i.e. which kind of customers should the product aim at. The classification of people into different groups depending on the rating factors (like age, gender, geography, etc.) is an important task for this as the different people have different morbidity experience. Now, after aiming at a particular group of policyholders having similar characteristics you need to assess the morbidity of that group by performing certain checks like whether the source of data is reliable or not, whether the data is updated or not, whether the data is credible or not, is there any need of adjusting morbidity of the group you are targeting vs. the group whose data you are using or not. The next step is to calculate a risk premium using the techniques such as Frequency Severity Approach, Burning Cost Method, Generalized Linear Model (if you have many rating factors) or Loss Ratio Method, etc. Then you need to load for expenses, profits, reinsurance costs, etc. for calculating the Gross Premium payable by the policyholder which completes the pricing of a product. I would say that the last two steps are not so complex and everything is given in the literature but the first two are the most important steps to be taken care of. i.e. how frequently you need to see the development (monthly, quarterly or annual). Then you see which technique you want to use to calculate the reserve amount for example, Bornhuetten Ferguson Method, Average Cost Per Claim Method, Basic Chain Ladder Method, etc. You generally apply different methods and if you get the weird results (like IBNR coming negative) you will certainly not use that method. Then you will look at the past patterns for example, how much reserve have you kept initially and what was the utilization and check if the amount you have calculated is giving you a comfortable number or not. Then you calculate the ratio of reserve to the Earned premium and check if it is acceptable or not. Finally, you assess that it is your best estimate and you load it by risk margin in order to be well prepared even if there is any adverse deviation. Q. Tell us about the past and current scenarios of Health Insurance in India explaining the difference between market conditions 10 years ago and now? What all major reforms lead to its development? Well, industry is growing at a very healthy growth rate of 25% – 30% in last 10 years which is a very positive thing for sure but the penetration is still on the lower side. In terms of profitability, I will segment it in 3 parts: Retail Health, Group Health and RSBY or micro-insurance Schemes. Retail Health at current scenario looks sustainable in terms of loss ratios and combined ratios (at industry level). In Group Health, the loss ratios were very high 10 years back (like 150%), then it went down below 100% which is a very good thing when the rates hardened 2-3 years back but now again the rates are softened and thus the loss ratios are increased. So we can say that this is a cyclical business. RSBY or Micro- Insurance Schemes have started 5-6 years back and they have also completed one full cycle so the companies were making reasonable money initially but then the competition has increased and rates have gone down. Now, they are at a level where it is difficult to sustain. Hopefully, in years to come we will see some rationality prevailing those. Other than that, competition has increased in the market which has resulted in increased product innovation and enhanced service level which is a very good thing from consumer point of view. Q. What skills do you look while recruiting student actuaries? What advice would you like to give us and our fellow students? Generally, I put a lot of emphasis on person’s sincerity and the person should be sharp enough. So, when I am hiring a student actuary as a fresher or even at a higher level, he may not have enough experience but eagerness to learn should be there. Then, I will check the academic records but that are secondary and I will not give 100% credibility to that only. Even if there is something wrong I will check out with him what happened. After that, I will ensure that whether he will be there in the company for long term or not and whether I can fulfill his expectations from the job. This is not about recruiting the best candidate for the job; this is more about recruiting the most suitable candidate. A person may be very good but if that person has a different kind of ambition which I feel I may not be able to fulfill, then he may be a good employee or a student but he will not be the best fit for job. I would advise the students to believe in hard work rather than opting for a shortcut as shortcuts won’t land you towards fruitful results. One thing I would suggest is that whenever you are learning something, try to see how this thing is happening and how is it applied in the real world rather than just knowing the concepts. It should be vice versa after getting a job. Once you get a job, try to see how do the concepts studied in your exams fits in with your learning and experience through the job. This thing will also help you in clearing your exams easily. Even if you are doing any summer internship, then you should give your 100% to that job rather than taking it as a short term consideration. Q. 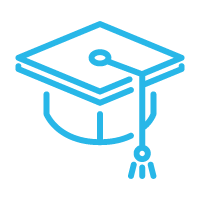 Becoming an Appointed Actuary is the highest we student Actuaries can aspire to be, now that you have achieved that milestone, what do you see as your next step in this industry? Next PostIs starting Actuarial too early worth?